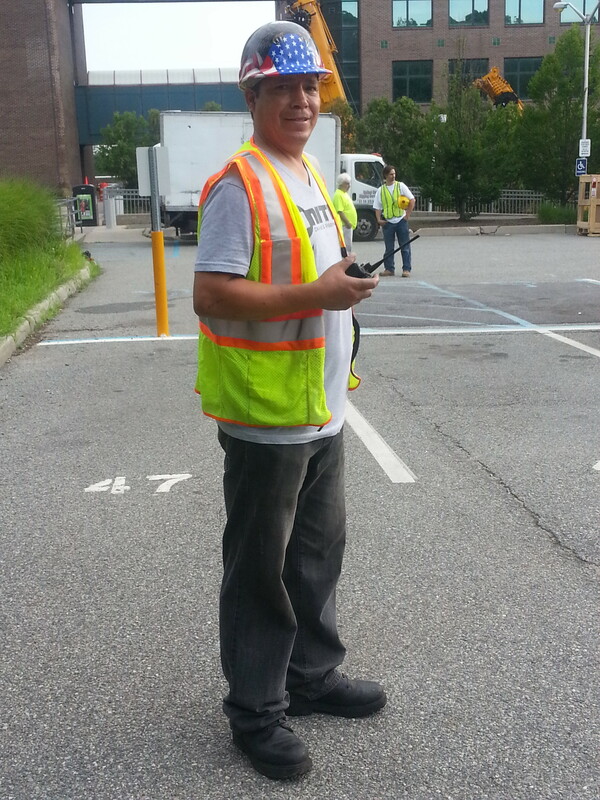 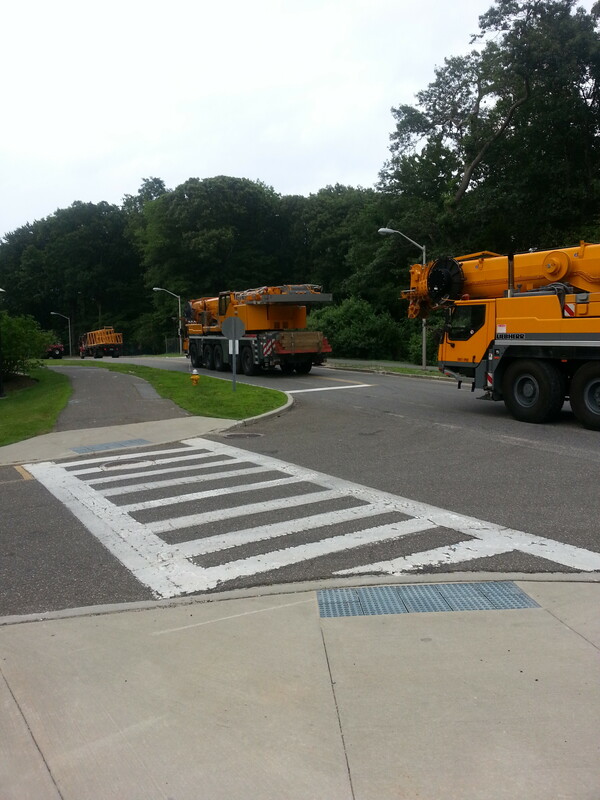 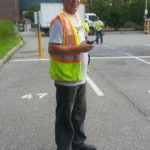 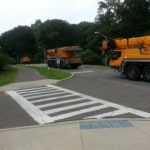 We recently completed a job SUNY Stonybrook. 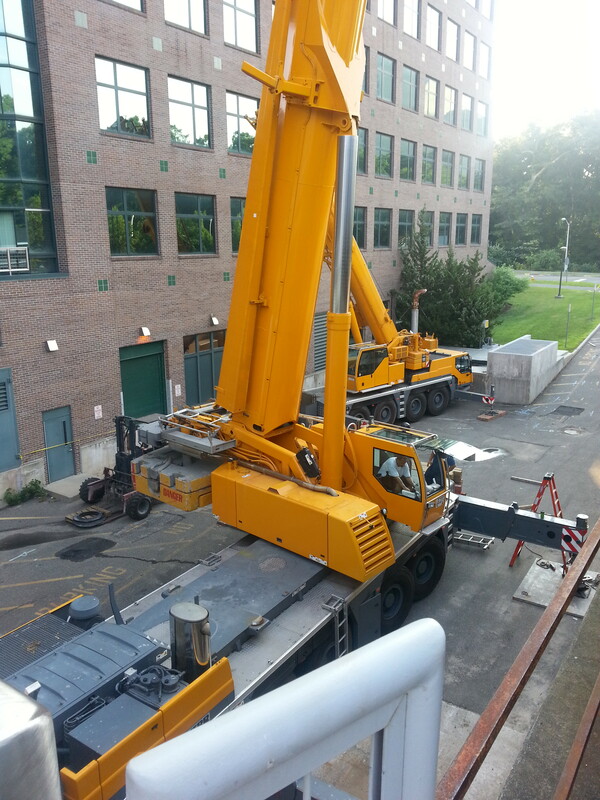 We performed 70 picks that day (70 times we lifted equipment and removed equipment). 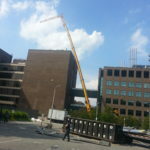 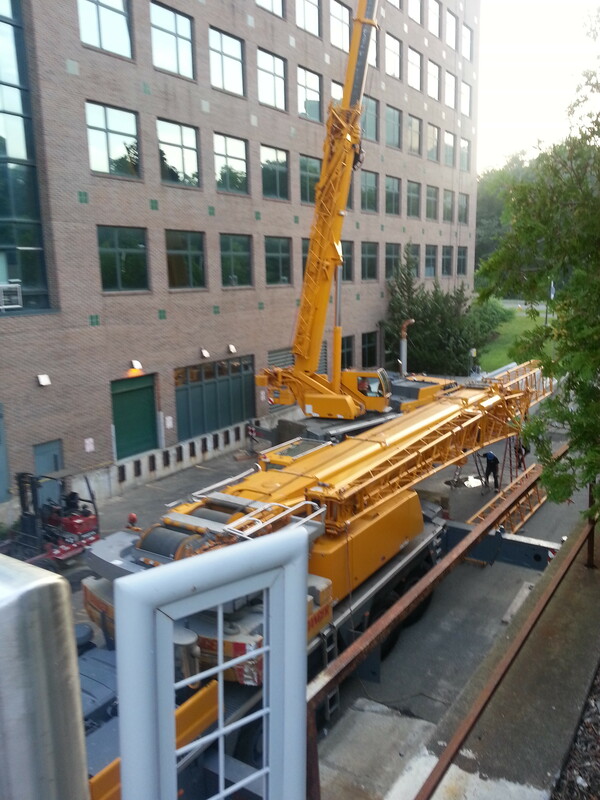 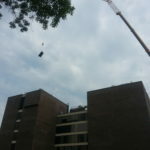 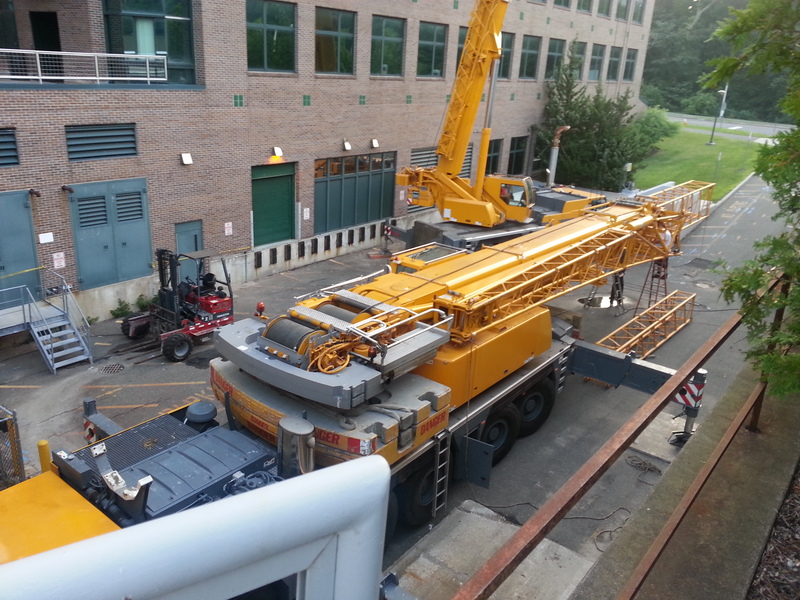 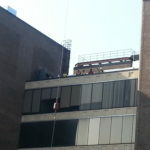 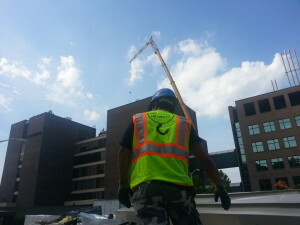 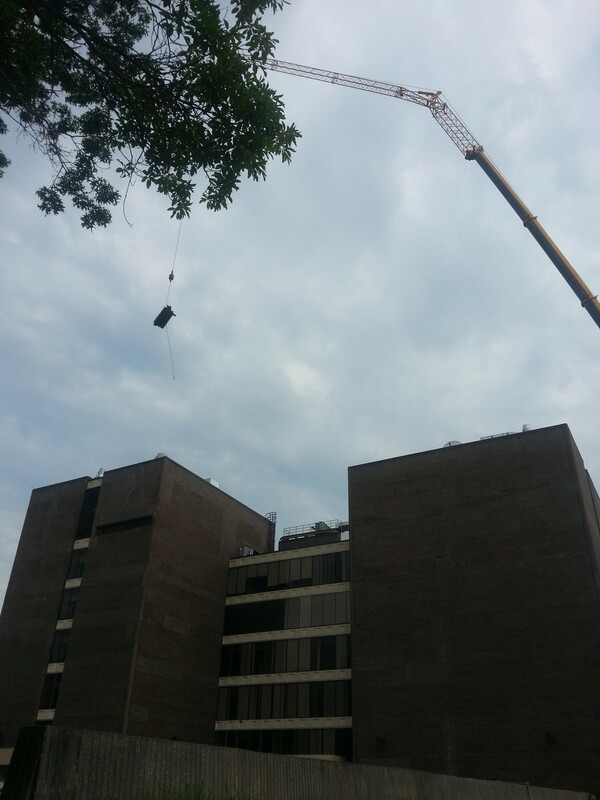 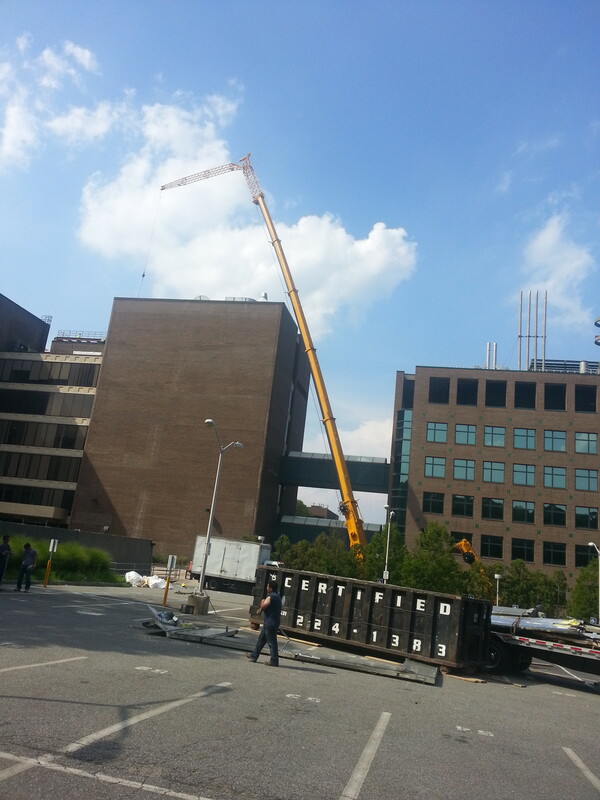 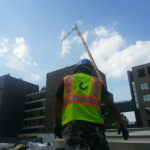 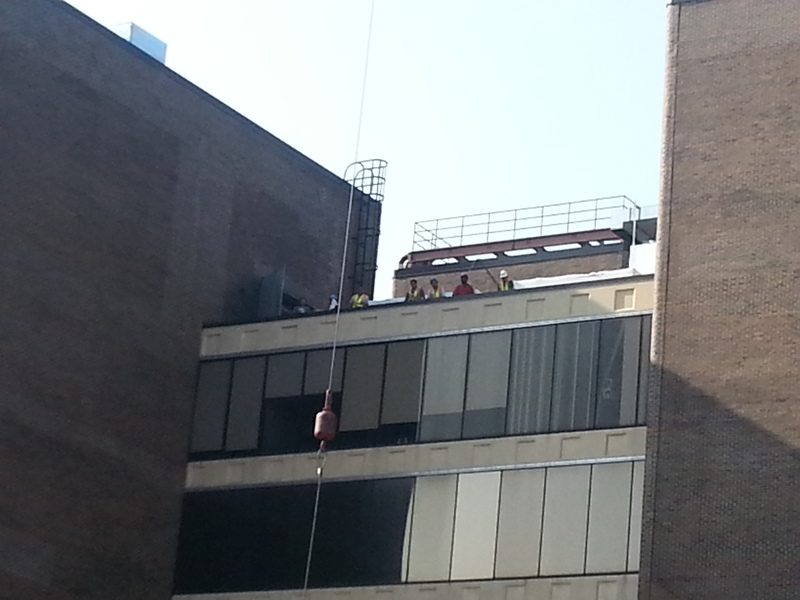 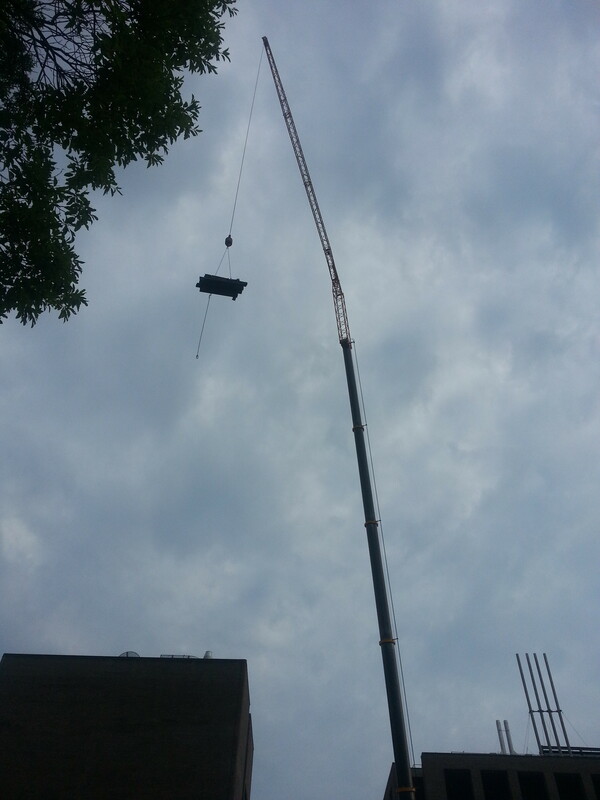 To complete this job, a 260 Ton crane and one smaller crane was used. 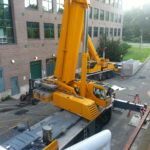 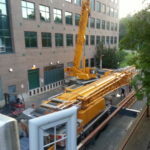 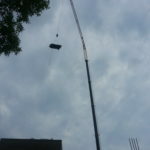 The equipment was picked picked up at an offsite location and delivered to the job site.